My friend works at Issaquah Cedar and Lumber. She has decided to open a small gallery in their main showroom, featuring art that goes with their Pacific Northwest trees and wood theme. So two weeks ago she asked if I still had my large prints with trees on them (I have two of them left). 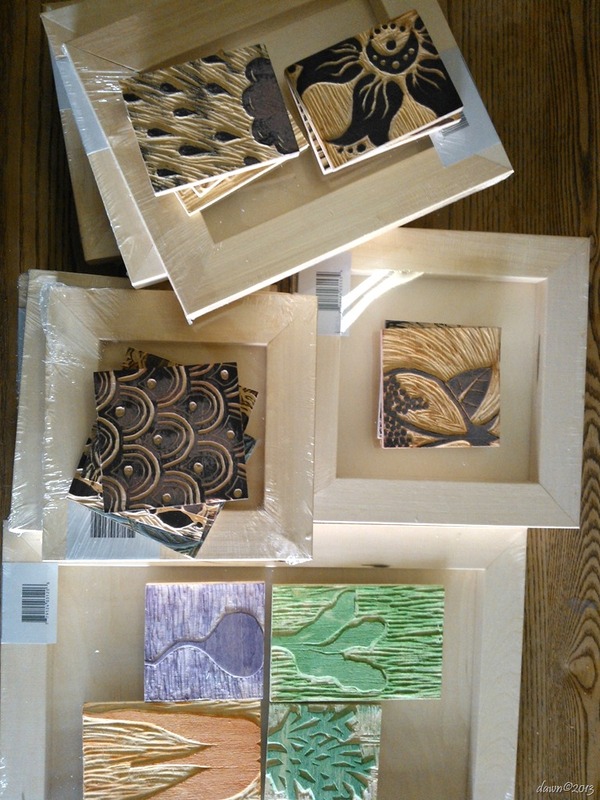 She came over to have lunch and look at them and as we were talking I mentioned that I was thinking about retiring and framing a bunch of my smaller woodblocks that I am no longer using for printmaking. 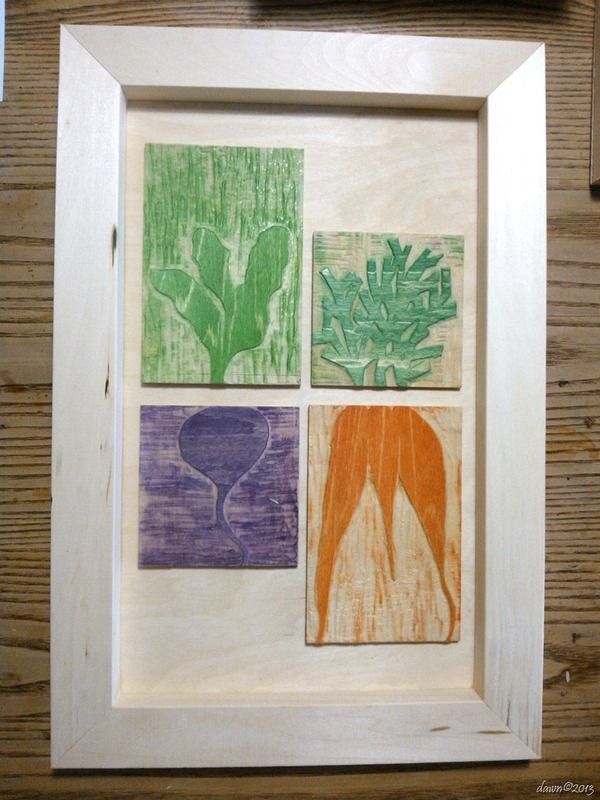 The boards are meant for painting or encaustic work but I just flipped them over and the are perfect for use as frames with a bit of a shadowbox effect. I didn’t want put these behind glass because they have such a wonderful, tactile vibe – I want people to feel they can touch them and feel the grain of the wood. 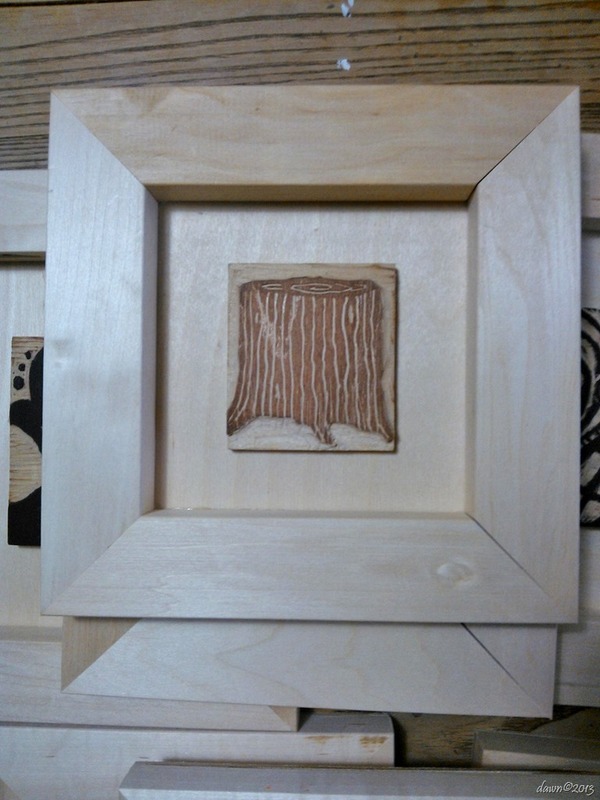 I’ll be hanging the show on Saturday morning so if you are in the market for cedar, come by for a visit. Wow, my first show of the year. I’m excited!